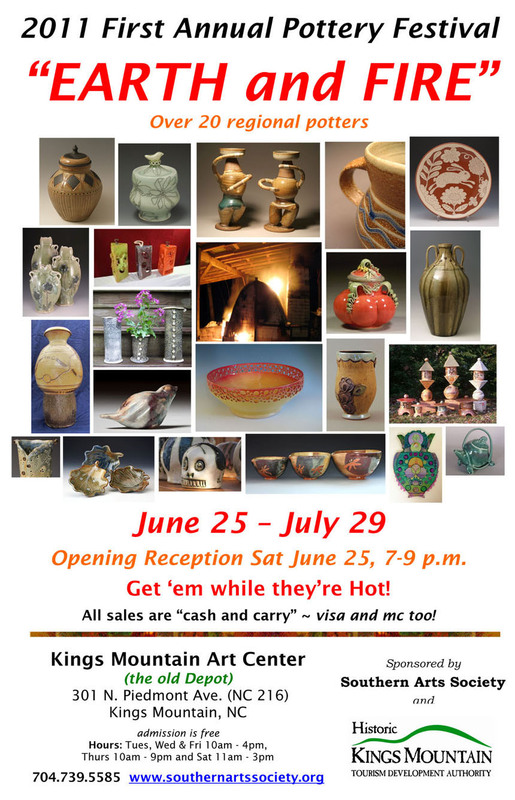 The Earth and Fire Pottery Show opens tomorrow in Kings Mountain, NC. 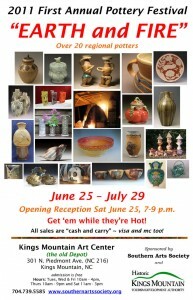 The reception is from 7-9 pm at the Kings Mountain Art Center in the old train depot. The show features the works of over 20 potters. I'm showing along with my pals from the Thrown Together group. Another show called Earth and Fire is happening but it's way over on the other side of the pond. My friends Hannah and Doug and Paul are all there along with many other UK potters. So if you're near Nottinghamshire be sure to go out for a visit.